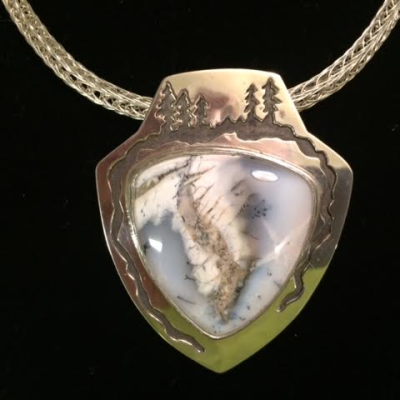 Crafted into individually unique custom pieces. 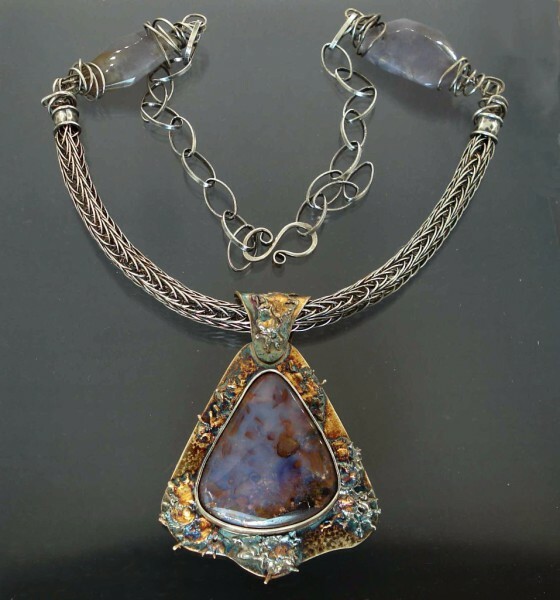 "I love to use different and unique semi precious gems in my jewelry and also to manipulate the metals and add textures and patinas for exceptional one-of-a kind results." 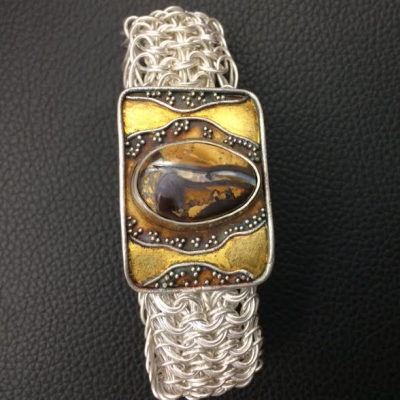 I offer Viking knit classes in either sterling silver or copper. 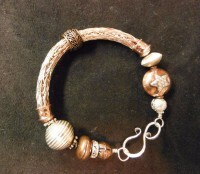 You will complete the class with a bracelet that you've woven and made yourself. No jewelery making experience necessary. 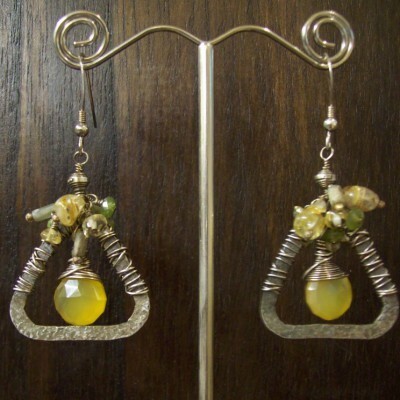 I have a wide selection of semi precious stones for you to choose from to complete your own bracelet. Please email for further inquieries. 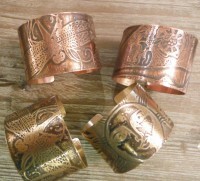 Cuff and pendant classes; In these classes you will learn to make a metal etched bracelet and pendant in your choice of brass or copper. 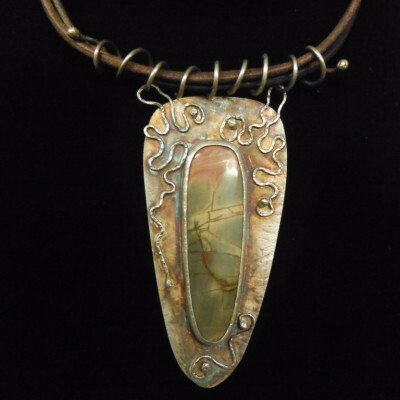 For the pendant you will learn how to use different patinas, finishes, and riveting. Please email for further inquiries.